Have you ever thought about sharing your own story on TV and how cool that would be? Not many people get a chance to create a TV show with professionals in a real live TV studio. Or have you wondered how your favorite TV shows are made? Well, this is your chance to experience the making of not-just-any TV show but one that you and a crew of fellow students put together. We are talking about being on camera, interviewing, scripting scenes, shooting, editing, and more. Best of all, you won’t struggle with figuring this out. 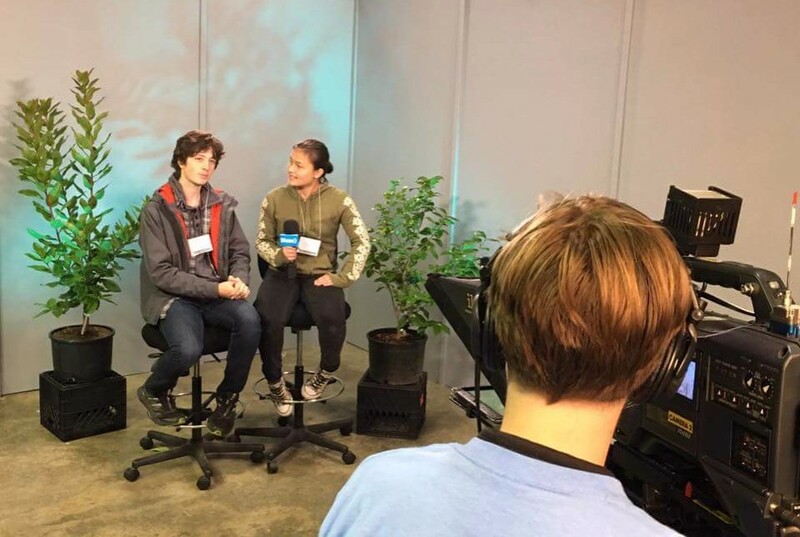 Rethink Thinking and ShawTV are bringing this super cool opportunity called, “This Show Has 28 Minutes” to students in grades 9 to 12 – high school. To apply to be one of 20 students, click here. And ask a friend to sign up too! Open to students from any school. No prior TV or video experience necessary. It’s what YOU want it to be about. It’s a story you think SHOULD be told. It’s a way of having fun, meeting new friends, and experiencing what many only wonder about. You will first meet on June 11th at 1:00pm at ShawTV where the brainstorming and scripting begins for their show. The second meetup is in the Shaw TV studio where ideas are figured out and you become comfortable with the studio and gear. After that, the crew picks days to shoot various clips at different locations this summer. Click here to fill in your student application. Finally, consider this opportunity as having a voice in your community and experiencing the making of a TV show. Space is limited so don’t delay.